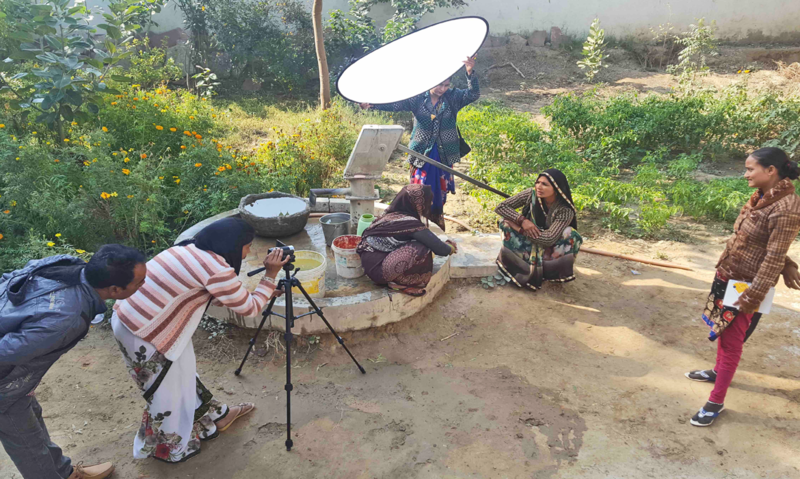 Being a part of Digital Green’s Training team I’ve had the opportunity to travel to several states in India to train field level extension agents on video production and disseminating these videos on best practices related to agriculture and health and nutrition. I’ve found that trainings are extremely interesting settings to meet new people, and get to know the local cultures and lived realities of people. At Digital Green, our trainings typically span over three to five days, which is just about enough time to get to know and develop a bond with the people you are working with. At such trainings that I have facilitated, I have met many young dynamic women of my age. In my informal interactions with some of them, during breaks and after trainings, I have gotten so many insights into their lives that have left me both inspired and also saddened at the absolute inequality we live with and have come to see as normal. 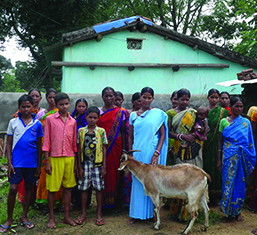 Under the Government of India’s flagship National Rural Livelihood Programme efforts have been made to organise women in each village into Self Help Groups (SHGs) of 10 to 12, to put it simply – with the aim of collecting regular contributions of small sums from each member to create a larger pool from which they could borrow when one of them needs a loan. 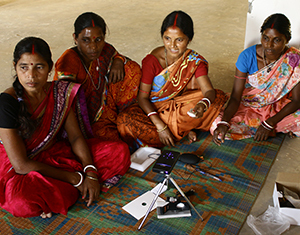 In the course of my travels across states like Bihar, Odisha, Jharkhand where I have delivered trainings for Digital Green I have seen how these SHGs have been successful in creating a sense of belonging and community for these women. After marriage, women traditionally get relegated to household chores, tending to their children and families, and almost never have any social circle of their own. Their life typically revolves around their immediate family. Very often, their maternal homes are also not places they can turn to for support of any kind. It is in fact considered taboo for married women to interact with their maternal families, except for specific festivals, which can leave them feeling quite isolated. In this light, these SHGs have come to signify much more than platforms where they can safely save and take loans from. 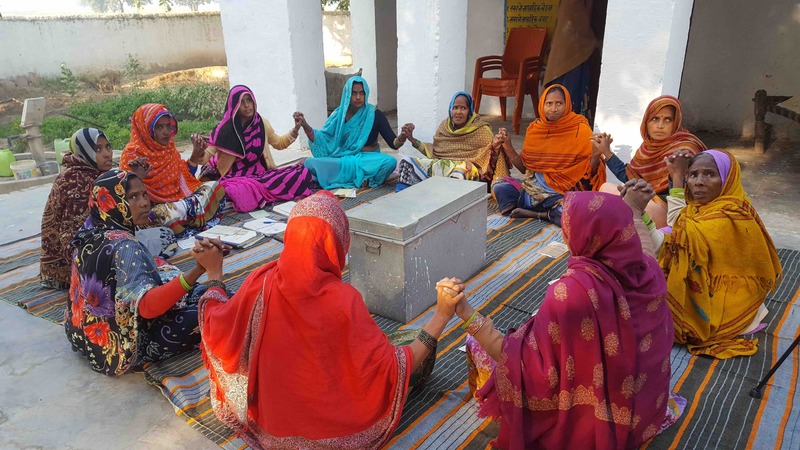 Recently at a training in Bihar, I asked some of these young women if they had ever before been out their homes for a prolonged period, without another family member accompanying them. Except for one, for all others, it was their first time. One woman shared how they would have never had a chance to meet each other and become friends had it not been for the SHG group they are a part of, which in turn led them to participate in the video production training. At the end of the fifth day, I saw all of them exchanging phone numbers and promising to keep in touch. At another training, in Jharkhand, I spoke to the woman who was serving food at the venue, and I got to know about the cafe that she had started at the Jharkhand State Livelihood Promotion Society block office. She shared that she had taken some loan from her SHG and started the cafe along with three other women from the group. She looked absolutely confident about the quality of her food, and in the way, she was going about her work. All the efforts we put in to reach women seem worthwhile when you meet someone like her. This is a success story for me not only because of the success of her café but also because of the collaboration the women in the group were able to achieve with one another. Instances like these make me wonder if we will ever be able to capture such intimate heart-warming stories in our impact assessments. Besides the actual saving and lending, when women meet in their SHG meetings, it’s wonderful to see them go through their routine of introductions, prayers, attendance, signing registers, filling forms and bearing the office of president, secretary and other such designations with such pride and sense of responsibility. To me, just the process of it feels empowering. Having your name called out as a member of an association, to have an identity outside of the traditional role of wife, mother or daughter-in-law – to many it might not seem worth mentioning, but sometimes, something as small as this can help in developing a stronger sense of identity. Another recurring feature which strikes me every time I am in the company of a group of young women is being asked how I ended up doing what I do, how much did I study, where did I study? If I am married, how does my family ‘allow’ so much travel? I sense so much curiosity in them about my life. In the differences they see, they understand the many ways in which they have led a more marginalized life. A lot of times, we have new and lactating mothers attending the trainings, and it is absolutely amazing to see how they juggle between looking after their infants and participating in the training. I often think that they could have been working with me in my office, or be sitting in my drawing room, discussing all the issues plaguing us as a society, just like I do with my friends back in the city. It’s just an accident of birth that they struggle to manage their traditional roles and responsibilities of the household as well as contribute to the work in the farming and livestock management and I am traveling around the country meeting people, making my own decisions and earning an income. I am very hopeful and positive about big leaps being made with regards to gender in the next few decades, which might be a long time in the span of an individuals’ life, but short given the enormity of the problem. SHGs allow women to share their problems, their stories resulting in a new awareness of sorts and a development of solidarity – they realize that they are not alone in what they are facing, and it lends so much strength to them to bring in change for themselves and their families. Once a woman sees her own oppression, it is difficult for her to un-see it, and this is the very first step in solving a problem – to be able to see it as a problem. 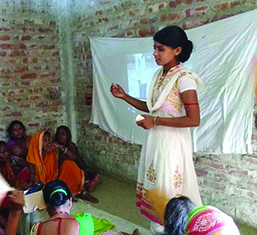 A trained frontline veterinarian, Radha Devi supports her village with valuable knowledge via Digital Green videos.